ABOUT - Nelson & Nuñez, P.C. About Nelson & Nuñez, P.C. John C. Nelson has been in private practice in Newport Beach, California since being admitted to the Bar in 1977. 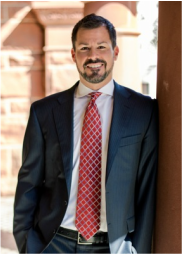 His practice focuses on all aspects of immigration and naturalization law, and he represents major U.S. and foreign corporations, and individuals of worldwide nationality. Mr. Nelson co-founded the Immigration Law Section of the Orange County Bar Association in 1982. He served as the first Chair, and has continued to chair as well as hold numerous other officer positions. In 1993, Mr. Nelson was certified as a Specialist in Immigration and Nationality Law, by the State Bar of California's Board of Legal Specialization, and since then has served as Chair, Vice Chair, and Commissioner of the Immigration and Nationality Law Advisory Commission, Board of Legal Specialization. He is currently a member of the California State Bar, the Orange County Bar Association, and the American Immigration Lawyers Association. With his immigration expertise and ease in front of an audience, John is often requested to speak before civic, public and legal organizations on immigration topics. He has lectured at numerous seminars on immigration and naturalization matters. He taught Immigration Law as an Adjunct Professor at Chapman University School of Law in Orange County. He has served as an expert witness testifying on immigration issues. Mr. Nelson has published several articles on immigration. Mr. Nelson received his bachelor's degree from Butler University in 1973, and his juris doctorate from Northrop University School of Law in 1977. He was admitted to practice before the Ninth Circuit Court of Appeals in 1978, the United States Supreme Court in 1982, and various federal District Courts. The son of a Spanish immigrant, Jay has witnessed firsthand the stress and difficulties that can arise when a person's immigration status is unresolved. While many U.S. citizens take for granted their ability to work, travel abroad, and conduct their everyday lives in this country, immigrants understand and appreciate the blessings and opportunities offered by the United States. Jay Nuñez first became enthralled by immigration law while studying law at the University of Notre Dame Law School. He was invited to work for the Notre Dame Legal Clinic in the immigration department. He represented clients in asylum, deportation and waiver cases for two years. While Jay had always enjoyed meeting people from other countries and cultures, he experienced a newfound level of satisfaction in helping these individuals stabilize their immigration status in this country. While at the University of Notre Dame he launched a non-profit aimed at benefiting one of his asylum clients. The man was a Congolese Christian pastor who escaped death threats and armed attacks by coming to the United States. After Jay obtained asylum for the pastor, his wife and two youngest children, the family was stuck in the unenviable position of paying for the other seven children to get to the U.S.
Jay launched the Bukassa Family Reunification Project and raised enough money to fly all seven children to the United States. There was even enough money to buy sleeping bags and warm clothes for the children, who had never lived in a cold weather climate. Today, Jay works in all areas of immigration law including marriage based green cards, adjustment of status, consular processing, Violence Against Women Act, H-1b, L-1, investor visas, EB-5, naturalization, waivers, deportation, fiancé visas, and PERM to name just a few. He represents individuals, families, and corporations as part of his practice, and his clients come from all over the world. Jay has gained a reputation for always treating his clients with respect and compassion, and his philosophy is that if you're doing what you love, it will all work out in the end. To schedule a consultation regarding your immigration matter, contact Nelson & Nuñez, P.C. Jay Nuñez received his law degree from Notre Dame Law School, and his bachelor's degree from the University of California, Santa Barbara. While in Law School, Mr. Nuñez was Executive Articles Editor for the Journal of Legislation. He is a member of the American Immigration Lawyers Association, the California Bar, the Los Angeles County Bar Association, the Orange County Bar Association and the American Bar Association. He is admitted to practice in the Central and Southern Federal District Courts of California and every immigration court in the country. Contact our office to discuss your immigration situation, goals and options. Many aspects of immigration law are time-sensitive.